Mommy and Me Outfits: Full List of Brands! Matching or coordinating with your mini me can be so much fun. 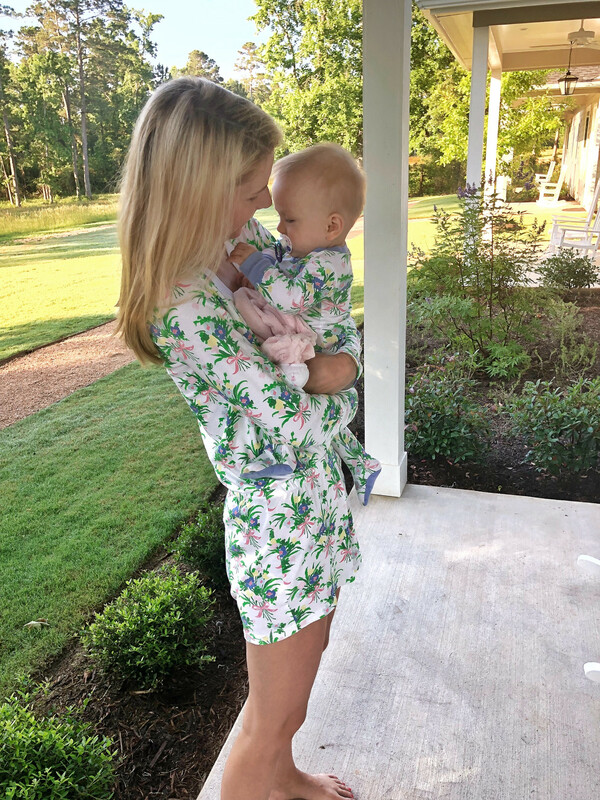 So today I am sharing some of my favorite companies that offer mommy and me outfits and pajamas. Don’t worry: there are some mommy/son options, too! 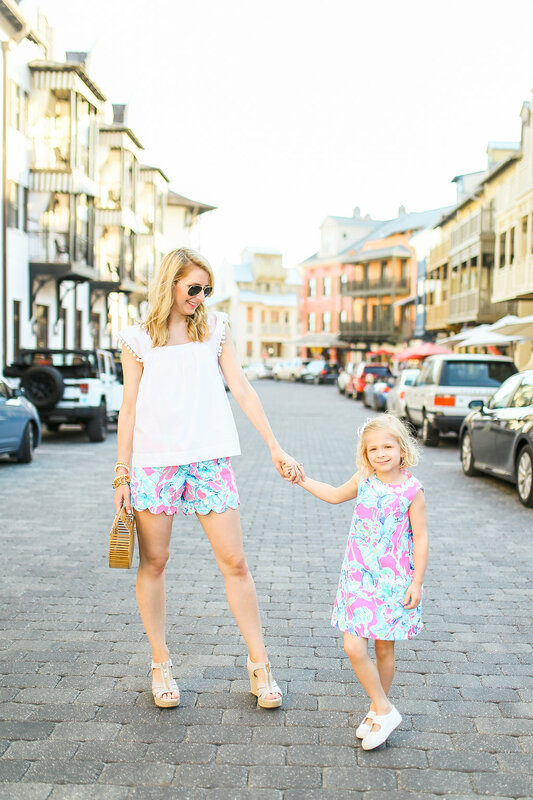 Creating cute mommy and me looks with classic Lilly Pulitzer is so easy and you don’t need to be completely matchy matchy as you can see here. 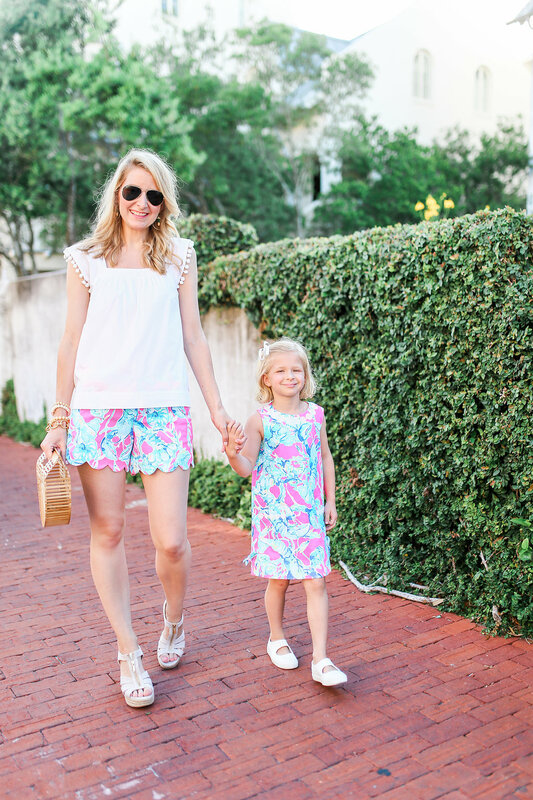 Read more about why I love my Lilly Pulitzer shorts here! P.S. Lilly also has matching father and son swim trunks. Beaufort Bonnet offers so many adorable mommy and me pajama options. The romper I am wearing is so comfortable. I also love that they offer mommy and son and daddy and son options. These swim trunks would be perfect for July 4th! lila + hayes was created by two moms looking for soft, comfortable clothing for their children. Their clothes offer the same quality in their mommy and me options. I am wearing this bathrobe in Fall Floral and Louise is wearing the Lucy Footed Romper. The patterns are seasonal so it’s fun to see what they come up with next. This pajama set paired with the Grey Snap Romper for babies or the Ava Ruffled Two-Piece Set for little girls would be an adorable mommy and me set! P.S. A monogrammed robe paired with a monogrammed onesie would make a great gift for a new mom. You may remember me talking about Eyelet & Ivy during my Classic Children’s Clothes Giveaway. It is definitely one of my favorite sources for affordable classic children’s clothes. My girls and I wore this adorable matching Pima Loungewear Lounge Dress and Louise was in the onesie version. This set is so comfortable and perfect for summer! The mommy version is sold out. But I wanted to include because they always have so many cute seasonal things. Make sure you are following them on Instagram and Facebook so you don’t miss their pre-orders. So many companies now offer adorable mommy and me outfit options and really coordinating outfits for the whole family. Did you know that Target and Old Navy both have new affordable family coordinating lines. Draper James recently launched their cute mommy and me capsule collection in collaboration with Savannah Collage of Art and Design. Cabana Life offers matching swimsuits, rashguards and coverups. And we all know about Hanna Andersson for family Christmas pajamas but they have options all year long. Scroll through below to see a few more of my favorites at all price points! Pin this post to remember where to find the best mommy and me outfits! Did I miss any great brand? Share below! Great list! I am loving the mommy and me trend. My favourite mommy and me brand is a Canadian company called Hot Dame. They sell women and girls clothing that is such great quality and so cute and comfortable. Check out their website and/or instagram.